For me it is not easy to review McCartney albums, I was eleven years old with John Lennon was killed and it was the first I'd heard the Beatles. After I started to collect the Beatles albums and so I pretty much listened to the Beatles non-stop from the ages of 11-17. Each and every song imprinted on me and solidly putting McCartney and Lennon as the greatest songwriters in the world in my mind. I have followed Paul throughout the years since 80s and I have to admit there are hits and misses in his catalog, mainly because he is not afraid to take chances and push his music into new territories.Also, I loved his last album of standards "Kisses on the Bottom" which he did much of it with Diana Krall, but was also ready for a new album of McCartney songs. Here on "New" McCartney does not me disappointed. There are some flashes and homages to previous work but there are also strides into new territory. McCartney worked with four young producers on this album and that may be one of the reasons that things do seem fresh on most of the tracks. McCartney ended up recording with all four: Mark Ronson, Ethan Johns, Paul Epworth and Giles Martin. Martin produced the majority of the tracks and acted as executive producer on the album. Recording took place at Henson Recording Studios in Los Angeles; Avatar Studios in New York; Abbey Road Studios, Air Studios and Wolf Tone Studios in London; and The Mill in East Sussex. "SAVE US "- The album kicks off with a bang with "Save Us" a song that rocks pretty damn hard with distorted guitars and heavy drum beat. The track features McCartney doing everything himself except playing the drums and he is in fine form vocally and on the guitar and bass. "ALLIGATOR" - You can't tell it from the name, but this mid-tempo song is about wanting a companion to be there for all facets of life, someone to share everything with. Some very cool guitar work here and a bit of a psychadelic synthesizer make this one memorable. "ON MY WAY TO WORK" - A ballad that is vintage McCartney telling a story about a guy longing for the girl of his dreams. Nice acoustic guitar and Paul's voice is showcased nicely here. Some heavier guitar in the instrumental break moves the song along. "QUEENIE EYE" - A "life's a game song" written about a game Paul used to play as a kid. From an interview: "Now this song, 'Queenie Eye,' is based on a game we used to play when I was a kid. You got to remember that's a long time ago and basically in kind of a poor area I was from. What you did you entertain yourself was go out in the street and play street games. There wasn't that much traffic, so you were pretty safe. And one of the games was called 'Queenie Eye.'" Repetetition and lyrical rhyming will have to getting this song stuck in your head for days. "EARLY DAYS" - One of my favorite tracks on the album. As the title would lead you to believe this is a song about Paul's early days in music, viewing it all as a grand adventure that nobody can ever take away from him. His vocals very up front over an acoustic guitar make you feel like you're just sitting in a room and listening to Sir Paul on the guitar. Somewhere John Lennon is smiling. "NEW" - The first single from the record that announced to us all that Paul was ready to get back to rocking after the last album of standards that he recorded. "New" is a happy, bouncy song that does not seem to get old no matter how many times you've heard it. It is a song that stands up there with some of Paul's best pop songs. "APPRECIATE" - This song starts with a dark, but killer groove that just broods through the song. McCartney's vocals are distorted a bit and run through a flanger at times giving the vocals a cool vibe as he tells us to "appreciate the day." Great guitar work and some powerful percussion make this a song that can, pun intented, be very much appreciated. "EVERYBODY OUT THERE" - This one is probably included just to be able to play it live. A fun song with some call and response lyrics that will surely be a hit with concert audiences. This one features an 11-piece string section and what is billed as the "McCartney Family Chorus." The song also carries a great message from Paul for us to "do some good before you say good-bye." "HOSANNA" - An acoustic ballad that features the lyrics "I want to hold you in my arms, I want to take you to my heart again." A good song, but maybe one that seems to be missing a little something. "I CAN BET" - This one is a rocker! It is an "I'm going to get the girl" track with a bit of sass from Sir Paul who says that after looking her straight in the eye and pulling her closely "what I'm going to do next I'll leave entirely to your imagination." Paul has more game at his age than most rockers half his age, deal with it! "LOOKING AT HER" - A sweet love song with a bit of an edge. Pure genius how the vibe of the vocals and music changes when the topic moves from Paul describing the woman and then when Paul describes what she does to him. "I'm losing my mind" Paul repeats as the guitars get distored and the music stops. Truly excellent songwriting. "ROAD" - A song that could be about a romantic relationship but could also be a song about his old pal John Lennon with lyrics like "We came from nowhere" and "Two crazy partners" who are looking for a spark. An interesting piece that slows down and speeds up and ends on a high note. "SCARED" - This one is a bonus track, but truly one of the best the album has to offer. It's one of the most stark, emotional songs on the album about trying to express deep feeling to someone. "The beautiful birds won't fly out of their cage though I'm trying to set them free," Paul sings over a piano background. 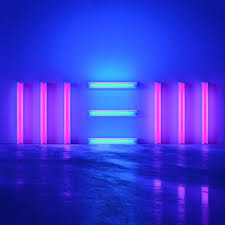 There is no doubt in my mind that McCartney can still write a hit song and this album proves it. How does it stack up against the Beatles' catalog and McCartney's past works? That is up for you to decide, but I think it is a very good record that I will be playing for a long time. There are already some songs that have grown on me more with just two or three listens, to me that is certainly a good sign that this album is something special.